Looking for design solutions that are practical and stylish? Purchase art for your bathroom and enjoy the colourful patterns and great quality that is a Ziporah towel. Designed in Melbourne, Australia, Zipporah is a brand that prides itself on high quality products that make a statement. 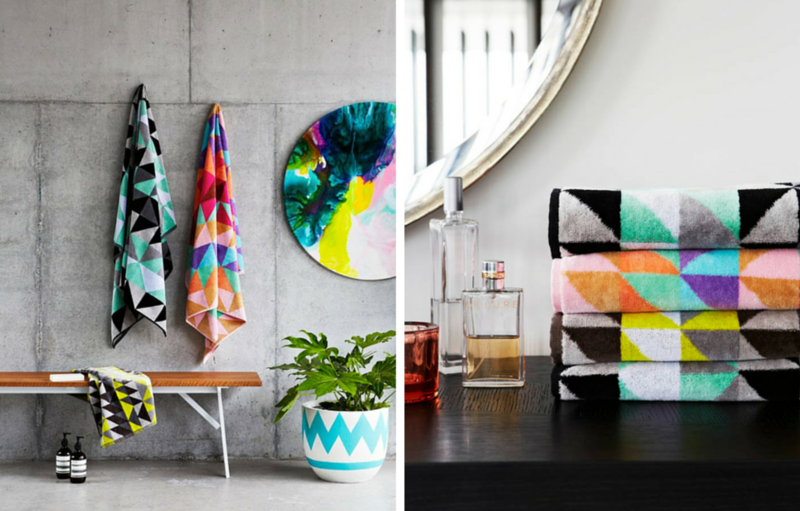 Each body or hand towel features a modern design that will add that much needed pop of colour to your bathroom. Whether you plan on taking them pool side, to the beach, or wish to dress up that white bathroom with a splash of colour, a Ziporah towel is the perfect solution. Buy a few with the same pattern or mix and match to create a different look in your space. With patterns that stand out, you will always know which towel is yours. Of course, items available from the Ziporah brand offers more than just good looks. They are a practical addition to your home that will enjoy years of good use. Made with velour on one side to display the vibrant pattern with terry on the other to ensure maximum absorbency, these towels are the only ones you will ever want to use after a long soak in the tub or a refreshing shower. They are made using 100% cotton for comfort, and are designed large and thick. To purchase towels from this great brand, simply take a look at the items available on our website. Feel free to place an order online or head to our store.